This month our resident spotlight is on Evelyne Hinds! Read on to learn all about Evelyne. Evelyne Hinds is 84 years young! Before retirement, Evelyne was an educator for 44 years, teaching students from fifth grade to college level. Teaching wasn't something Evelyne learned; rather, she was blessed with the gift of teaching others. She had a talent for reaching even the toughest students, and Evelyne still keeps in touch with many of her students. Her late husband supported her as she pursued her bachelor’s, master’s, and PhD. They were married 50 years. When asked the key to making a marriage last, she said, "Never go to bed angry. We didn't argue—we discussed." Today, her favorite hobbies are needlework and photography. She did formal and informal photography with her late husband. She also used to do photography within her classroom, and instead of writing reports of what her students were up to, she photographed them and gave copies of the photos to their families. She also enjoys baking cookies and yeast rolls and making jam. In fact, she used to make jam with fruit from her own trees. What Evelyne enjoys the most about retirement is being able to spend time with and be close to her son, daughter-in-law, and granddaughter. She also enjoys seeing different parts of the country and has traveled many places in her life, including Samoa. She would one day like to visit Alaska. 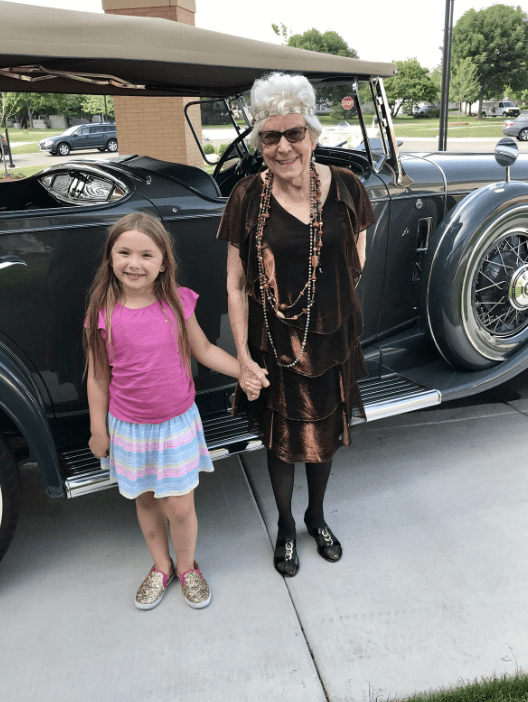 The one thing she enjoys most about senior living is being around all the people. She also enjoys the freedom from so many responsibilities, things she used to have to take care of herself such as laundry, cleaning, and cooking. Her favorite aspect of the Arbor community is the people at Arbor—staff and residents. She enjoys table hopping and getting to know all the residents and help them build friendships with each other. Her words to live by: "Always smile" and "Live by faith. Don't try to dream out the future." Evelyne was told as a child she had terminal asthma. She didn't know what “terminal” meant for many years. She had a doctor who supported and encouraged her and helped her manage it quite well, and she says that "Life is what you make of it." Arbor Terrace Naperville offers a thriving community providing independent living, assisted living, and dementia care. To learn more about us and our caring, committed team, contact us today.